What challenges have we seen since the inception of e-conveyancing and how can they be overcome? PEXA – what do you need to know? A lawyer with 21 years' experience, Melissa has worked hard to develop Shire Legal as a dynamic and innovative legal practice. Melissa’s unique approach delivers great results for her clients. Her solid grasp of the law sees Melissa achieving consistently excellent results for her clients. 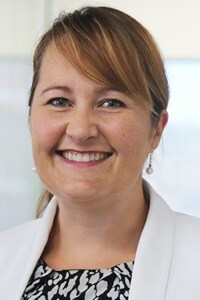 Melissa completed her Bachelor of Commerce/Laws (with Honours) from the University of Wollongong in 1994. She then worked as an investigator with the Australian Competition & Consumer Commission (formerly the Trade Practices Commission), before being admitted as a Solicitor of the Supreme Court of New South Wales in 1996. Following admission, she worked as a Senior Associate for multinational firms in the areas of trade practices and commercial litigation, before founding Shire Legal in 2003. In 2017, Melissa was appointed as a Notary Public of the Supreme Court of New South Wales. Melissa is also currently enrolled to complete her Master of Laws (Applied Law) through The College of Law, focusing on the areas of Business Law and Estate Planning.